George Neal, a long-time de Havilland Aircraft of Canada test pilot, has set a new aviation record, qualifying as the oldest active, licensed pilot on Earth. 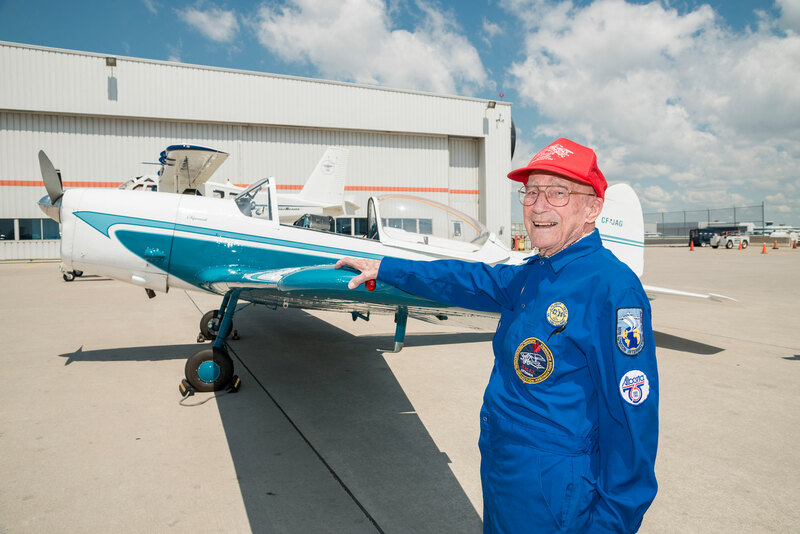 Neal is entering the Guinness Book of World Records for remaining a pilot at 96 years and 194 days as of his qualifying flight on June 2 this year. Neal has held a Canadian pilot certificate since 1936, amassing more than 15,000 hours on 150 aircraft types. Many of those hours came while he was a test pilot for de Havilland Canada. Joining the company in 1947, he was pilot-in-command for the first flights of the DHC-3 Otter, CS2F Tracker and DHC-4 Caribou, and he served as part of the flight-test teams for the DHC–1 Chipmunk, DHC-2 Beaver, DHC-6 Twin Otter, DHC-5 Buffalo, Dash 7 and Dash 8. Great story, but it's not true! Jack Tolbert, former head of training at Southwest Airlines, is 97 and just renewed his pilot's certificate. He lives in Southlake, Texas and has his own plane, which he flies regularly. Jack: Records are made to be broken and pilots being pilots, we're a competitive lot. Until recognised by Guinness World Records other accounts remain just that: hearsay.